bob dylan had his own radio show. holy crap. i never knew, and i can't believe no one ever told me. downloading my first episodes now thanks to a carnival saloon post on tom waits' truly excellent submissions to the show - inc. anecdotes on pigeons, jewish humor and chinese feet. 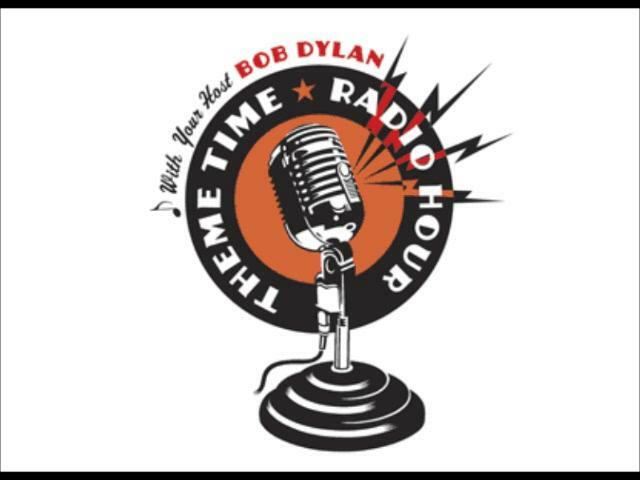 Theme Time Radio Hour (TTRH) was a weekly, one-hour satellite radio show hosted by Bob Dylan originally airing from May 2006 to April 2009. Each episode was an eclectic,freeform mix of blues, folk, rockabilly, R&B, soul, bebop, rock-and-roll, country and pop music, centered around a theme such as "Weather," "Money," and "Flowers" with songs from artists as diverse as Patti Page and LL Cool J. Much of the material for the show's 100 episodes was culled from producer Eddie Gorodetsky's music collection, which reportedly includes more than 10,000 records and more than 140,000 digital files.Interspersed between the music segments were email readings, listener phone calls, vintage radio air checks, old radio promos and jingles, even older jokes from Dylan ("My grandmother is so tidy she puts newspaper under the cuckoo clock"), poetry recitations; taped messages from a variety of celebrities, musicians and comedians; and commentary from Dylan on the music and musicians as well as miscellanea related to the themes. The show was not live (Dylan taped his portions at various locations and while touring), and the studio location at the so-called "Abernathy Building" was fictitious. Most of the "listener phone calls" and emails were also fictitious, although at least one email read on the show came from an actual listener. so pumped, this'll be weeks of fun.